This is such a somber, well written piece, Ally. I am old enough to remember. 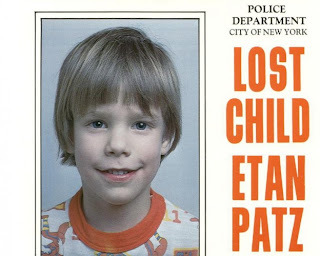 Am I wrong or was Etan's tragic story the main impetus behind a surge of postings of missing kids on milk cartons (though that likely started much earlier)? Anyway, thanks for this bringing back Etan's beautiful, innocent face. I don't remember Etan Patz, but I do remember Adam Walsh, which happened about a year later. That still sticks with me to this day as I teach my own kids about stranger awareness. I remember discussing that in journalism classes in NYC 15 years ago. I was absolutely glued to this story before I went into the hospital. Just wow. That poor family. Hopefully now they can at least have some closure.